Home / Unlabelled / 10 Signs you are doing well in life. 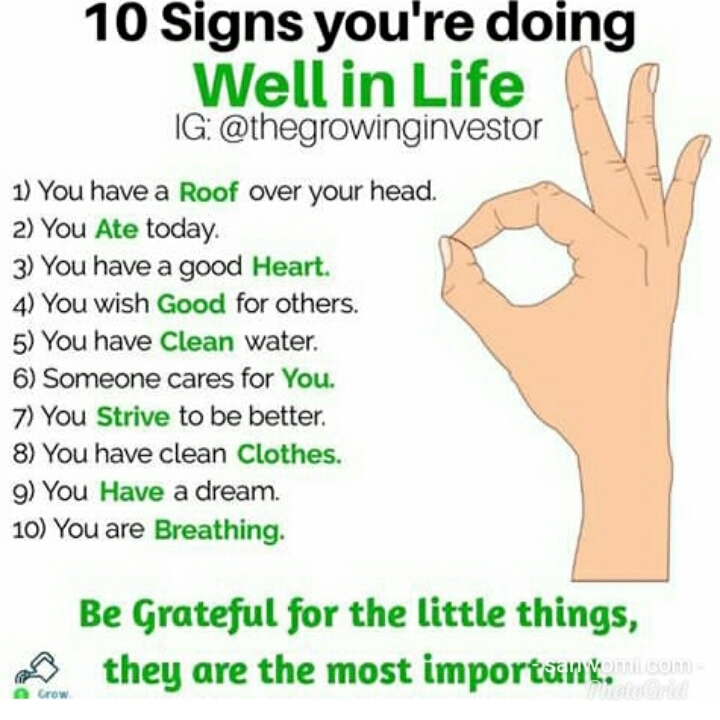 10 Signs you are doing well in life. 1 You have Roof over your head. 3 You have a good Heart. 4 You wish Good for others. 5 You have Clean water. 6 Someone Cares for you. 7 You Strive to be better. 8 You have clean Clothes. 9 You have a Dream.